Visit the picturesque town of Windsor, home to Queen Elizabeth II’s favourite royal residence, Windsor Castle. Wander the idyllic cobbled streets, try out the many delicious eateries, visit the independent boutiques or have a typically British experience at one of the wonderful tea rooms. Soak in exceptional views of the River Thames that stretches all the way from Central London before getting back on the coach to continue your day of British exploring. Next stop will be to the Neolithic stones of Stonehenge. As you approach Salisbury Plain, you’ll get to soak in one of the most iconic sights in the UK. Get up close to the inner stone circle and see if you can piece together the evidence of how these stones came to be. Do they represent an astronomical clock? Are they symbolic of an ancient burial ground? Were they a way to worship the sun in ancient times? This is your chance to work it out for yourself! You’ll also enjoy entry to the Stonehenge Visitor Centre where you can discover more about this famous location. 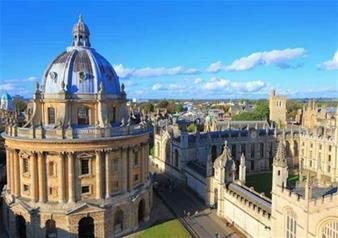 Visit one of the most quintessentially British cities in the UK – Oxford. Famous for the oldest university in the English-speaking world, Oxford is bursting at the seams with history. On your visit, you’ll get to enjoy a walking tour led by an expert guide through the quaint streets of the city. You’ll see the iconic 17th century Bodleian Library, a tremendous library packed full of fascinating literature, venture through the college courtyards and see some of the city’s most exquisite architecture.